Greg Styliades – guitarist of the Buffalo NY based metal band Revealer as the singer/songwriter his acoustic driven solo project The Circus Act. 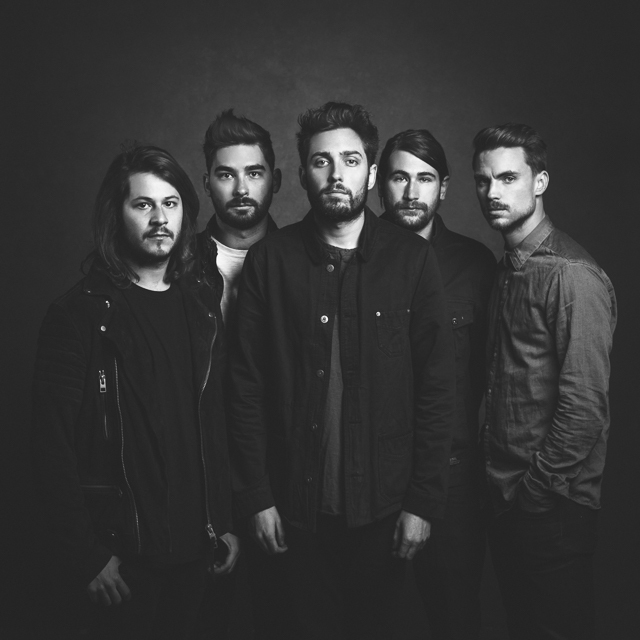 Alternative Press is one of my favorite magazine clients to work with – partly because they send me on assignments to make portraits of great musicians like England’s You Me At Six (who I shot for their December issue) and they always give me a ton of freedom in how I want to interpret each band’s vibe. Sometimes it comes in handy that my studio is right in the heart of Buffalo’s entertainment/theatre district – because I’m usually no more than a five-minute walk from most of the city’s best venues and that gives me ample time to set up the kind of dark moody images I like to create with a group like YM@6. Last month I was invited to be part of a very cool project. Alternative Press was putting together the cover for their new AP Tour issue and needed to create images of the singers of each band involved in the tour, the problem was that these groups were on tour in different parts of the world and getting them together on such short notice for a shoot wasn’t logistically feasible at the time. So the assignment went out to me and two other photographers to capture the members individually and coordinate with each other to build this cover. I photographed Jerry Roush from Glass Cloud and Chris Roetter of Like Moths to Flames along with their respective bands for features in the issue as well as their portraits for the cover. You can check out both bands below or on the AP Tour through the month of November. Special thanks go out to Jonathan Weiner who photographed both Levi from Miss May I and Jonathan of The Ghost Inside; and to Kane Hibberd who photographed The Amity Affliction. I recently had the chance to create a brand new set of images for Buffalo power-pop quintet City Under Siege, a young but terrifically catchy band. A variety of group and solo images were created for the band members in order to give them a more appealing and professionally produced image than what they had been using to market their music previously. We wanted to avoid any cliches that seem to plague bands when they are producing much of their own marketing material and images (see: Rock and Roll Confidential’s Hall of Douchebags) so we ultimately decided that the key image would be produced in studio to give it the polish and feeling of control that the band was looking for. Working with new or younger bands can often be a challenge as they often have several misconceptions about the budgetary requirements of producing images or their own direction musically. However, the members of City Under Siege proved themselves to be extremely discerning in their taste, knowledge of producing imagery, and direction they wanted to take their image in.